that’s left undone is a party season-perfect hairstyle. Adding damage to your delicate strands are the chemical contents of various products on hand. liking, their harsh synthetic materials jeopardize the natural oil and luster of your mane. what you feed your ‘do. easy, let your hair down and party all night long. WATSONS stores nationwide (DOH-FDA CCRR Permit No. : 967 s. 2017). you party-ready this Holiday season, while providing you with the ultimate styling result. 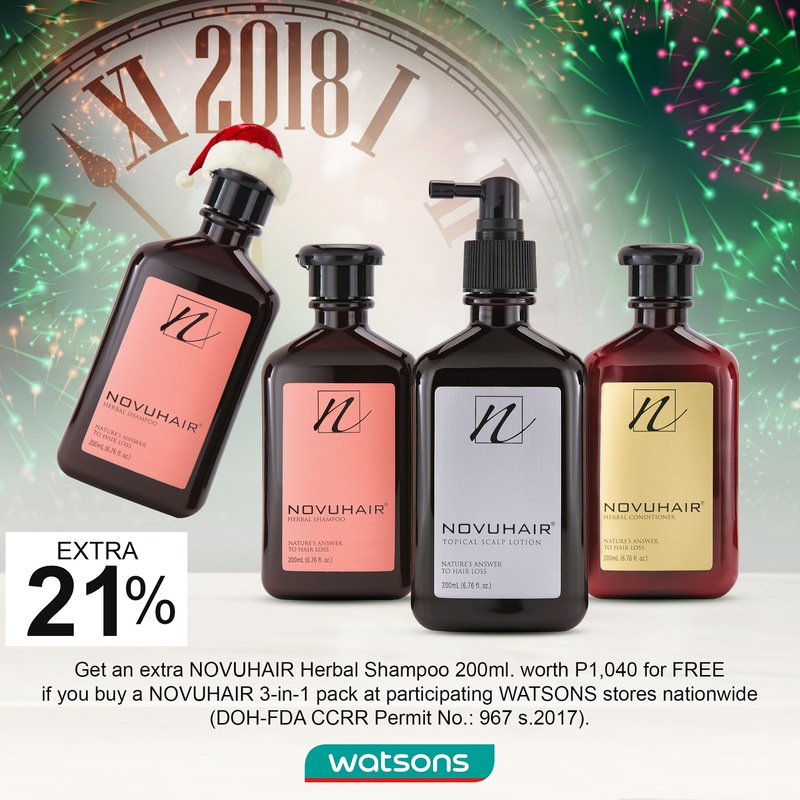 Novuhair’s Facebook page – Novuhair Official.